Millions of Americans own their own homes, yet lack the funds or physical ability to keep them in a state of minimum repair. In the United States, nearly two million homeowners have a hole in their roof. Almost three million are missing bricks, siding or other outside wall material. Two and a half million homes have a crumbling foundation and close to four million occupied homes have broken windows (2005 American Housing Survey). 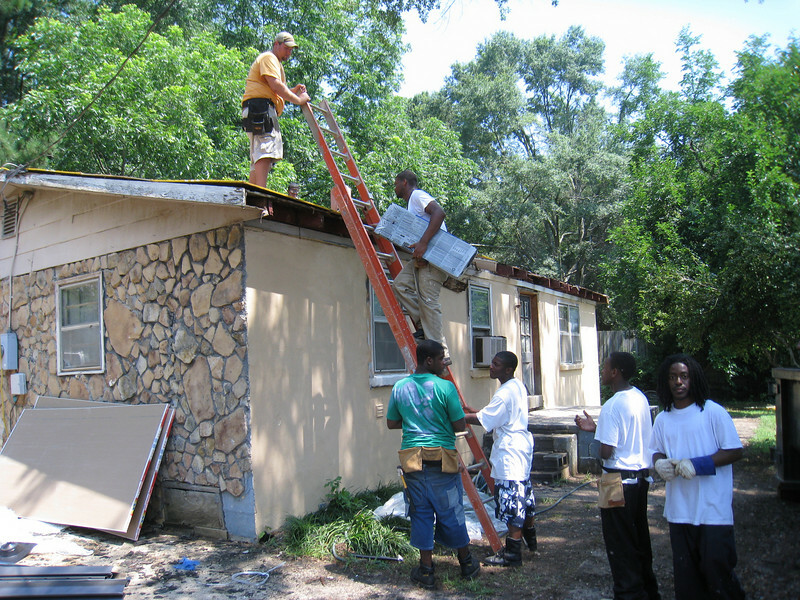 Through The Fuller Center’s Greater Blessing repair program, homeowners in need can apply to a Fuller Center covenant partner to have their homes restored to a simple, decent living condition. Once repairs are complete, The Fuller Center works with each homeowner to help them structure an affordable repayment plan. All of this is done without charging interest, without the use of a mortgage and without requiring the title to the property as collateral. Jesus taught that it is more blessed to give than to receive. The Greater Blessing ministry is based on this teaching. Homeowners are "paying it forward," because their payments enter a fund used exclusively for other Greater Blessing repair projects. Many people don’t feel comfortable being a charity case. Our founder, Millard Fuller, believed that providing opportunities to work in partnership enhances human dignity, which is why these home repairs are not given away. Apply for repairs by locating and contacting your nearest covenant partner. Interested in sponsoring a project? Visit our sponsorship page.